It's coming down to crunch time for Belle Canto as they will be leaving in 2 weeks for Italy! I apologize in advance to any of my fellow choristers if participating choristers going to the Seghizzi competition are reading my posts... but I just can't help myself from divulging what has been going on behind-the-scenes here in Canada. Amidst the chaos of rounding up folk costumes for one of the classes and trying to obtain pieces for additional "summer version" of our current uniform, we have been rehearsing and memorizing an intense load of music. We bumped up rehearsals to twice a week, there are individual sectionals during the other days in the week, and this past weekend there was even a Sewing Bee to make costume components. I can see the stress wearing on fellow choristers since they have to learn, memorize, and prioritize what to pack for this upcoming tour, especially with all these additional uniform components. Did I mention there are about 5 costume changes and choralography during the folk song set? Not full costume changes but the use of song-specific accessories during each piece. What is choralography you ask? It's choir+choreography. Within Belle Canto, it's more of a way to describe non-semi-circle formation on the stage but in the past few competitions I've been in, I've definitely seen an increase in the integration of movement in choral pieces. 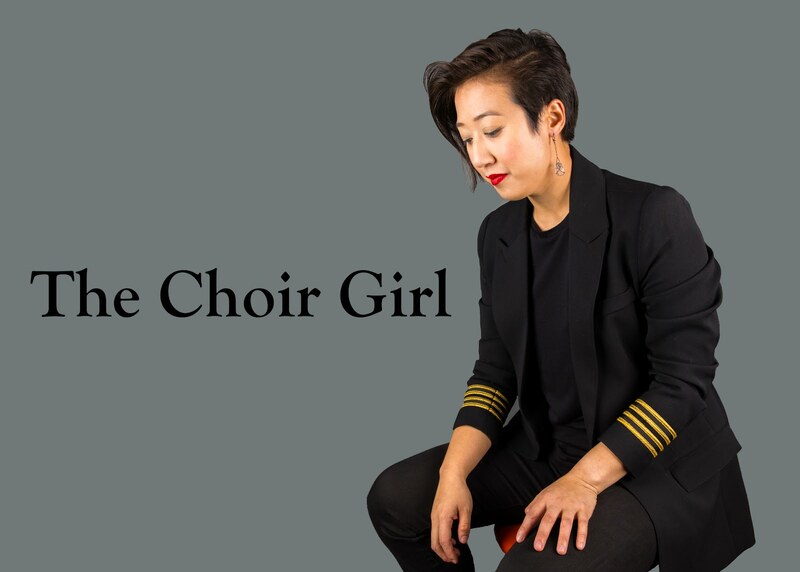 I'm not sure if it's this pressure for choirs to "put on a show" when they perform now but I think it's something more conductors are considering now due to the demand to create an engaging performance. It occurs to varying degrees but I like to think of it as a blend between the predictability of gospel swaying and the campy intensity of show choirs. Also, our music is definitely coming but I can't say that it has clicked quite yet. We're still figuring out notes in some places and rehearsing the lines continuously to feel how the music is supposed to fit together but it has yet to feel effortless. It's so nice when you learn music so well that you don't even have to think about the notes or words and you can just focus on creating a unified sound with the voices around you. That's when true music emerges. In time, this will come, most likely while they're rehearsing before the competition in Italy, but in order to motivate the choir an ongoing joke has materialized where we keep on convincing ourselves that we have a choral enemy that resides in the Czech Republic. No offense to Czech choral singers (be flattered that we thought you were threatening enough to be our choral nemesis). Whenever rehearsals are going a bit too long or our patience is wearing short, one of us just has to say... "Think about the choir in the Czech Republic!" We're tired and we need a break? "Do you think the choir in the Czech Republic takes breaks?" we collectively ask ourselves. Of course, we do end up taking a break but it's always good to keep in perspective the competition Belle Canto will be facing once they are in Gorizia. It's easy to fall into a safe buffer where we convince ourselves that the competition is a far ways away from us. However, only two plane rides away and they'll be in the heart of the competition. They can't afford to slack off now and be reduced to complacency. This hypothetical Czech choir is exactly the kind of stressful stimulus Belle Canto needs in this critical period leading up to the competition. Only a musical stimulus can elicit change. These final weeks leading up to the tour is a critical time for musical consolidation and it's time for Belle Canto to make these Czech choristers quiver in their church pews as they rehearse. I posted the details again for our pre-tour concert this coming Monday! My name is Evelin and I am also a member of the Magnificat youth choir from Budapest, Hungary. I was so thrilled to find your blog, which was really by accident. It is so funny to read how others are preparing for the competition and I particularly enjoyed the part about the non-existent Czech choir. I bet the Canadians aren't taking any breaks! NO THEY'RE NOT! So keep up the good work and we'll bee seeing you in Italy in 2 weeks! Evelin-what an intense rehearsal schedule! I can assure you that the Canadian are taking breaks, in fact, Belle Canto is leaving on Monday for Italy so they have ample time to adjust to the jetlag and do some touring before the competition. It's also awesome that you both are from the Magnificat Youth Choir. My conductor studied at the Kodaly institute so we have this love for Hungarian choir sounds and it really influences how we approach our music as well! A few years back we were in Budapest to tour for a bit before the Debrecen festival. Wonderful times!